It’s true – travel is a beautiful thing. Whether the upcoming road leads to lush rainforests, a buzzing metropolis, or your home away from home, travel stimulates the senses by pulling us out of the day-to-day and plopping us directly into some of the most charming and exciting earthly locales. Forecasts of curling up with a cup of glögg by a fireplace in northern Sweden or hiking the West Coast Trail of Vancouver Island? Um, yes please. It all sounds quite lovely, but sometimes it doesn’t feel this way. It is not uncommon (seriously, you’re not alone) to become completely overwhelmed by anxiety during the lead-up to your next planned leisurely getaway or work trip. This undesired unease is, for some people, a common reoccurrence and for others, completely unforeseen when it hits. But regardless of when or why it crops up, the truth is this – it will pass, and you can help to phase it right away. I know – easier said than done. But, with simplicity in mind, there are a few ways we can help to ease our anxiety when it arises. 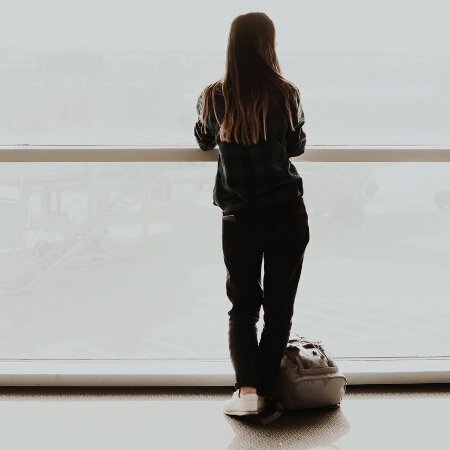 Whether during packing, while passing through security, or as you sweat in the seat of your now delayed departure, there are ways to help manage the worried mind. Putting your feelings into words can help the rational mind to see worried thoughts for what they are: another side of the mind that relentlessly entangles herself in all the ‘worst-case’s. 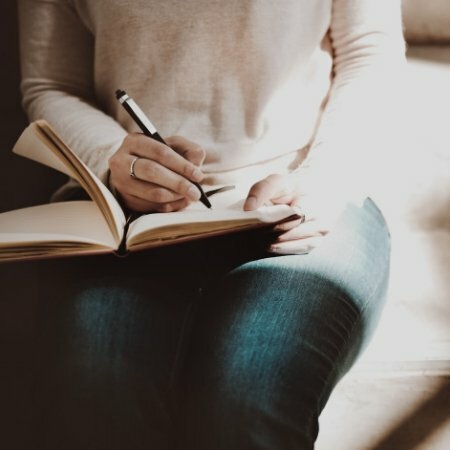 If journaling isn’t your thing, take a moment to consciously reflect when the anxiety arises. What is it saying? What is it truly fearful of? Harness curiosity about this side of yourself as you begin to compassionately explore what makes you feel uneasy. To overcome anything we first need to understand the nature of it. 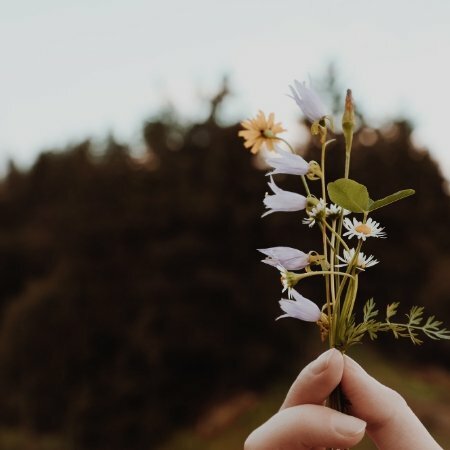 Whether or not you are familiar with yogic breathing techniques or meditation practices that focus on breath work, your breath is your friend – honestly. If you have not acquainted yourself with her, now is the time. Breathing techniques, such as deep breathing, help to elicit the relaxation response – a term coined by Dr. Herbert Benson in the 70s. Essentially, by consciously deepening the breath to fill the entirety of the lungs, the body begins to enter a state of rest and relaxation. When travel anxiety arises, whether you are sitting in front of your empty suitcase or nestled into your beloved middle seat, you can use your breath to soothe you. Close your eyes (unless you’re going to hold up the line towards security) and take a few deep breaths. Bring your awareness to your belly and allowing it to rise. Keep it slow and steady and feel into how the body and mind begin to release lingering unease – breath by breath. Make use of essential oils and soothing herbs. Essential oils are small enough to pass through security, and herbal teas and supplements will make it with you, too. Take advantage of herbs and oils such as lavender and chamomile to help ease the anxious mind. One thing to be mindful of when using essential oils: they are stronger than you think. Even if you are an herbal enthusiast and dose yourself frequently with ylang ylang and rose, your fellow passengers may not be as keen on this as you are. Stick to applying it in open areas before boarding, or keep your on-board usage to subtle sniffs only. 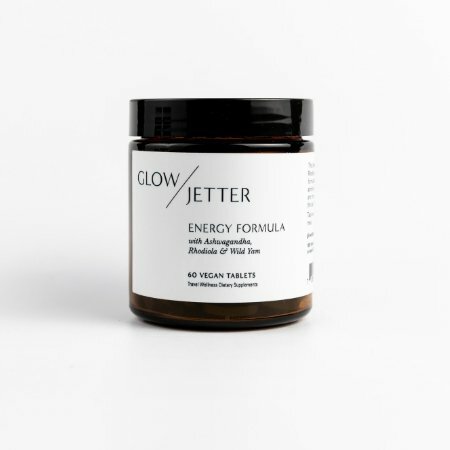 Adaptogens will keep your energy levels calm and stable through stressful periods. Look for ingredients like Ashwagandha, Ginseng and Rhodiola Rosea. We combine ours into an Energy Formula that is designed to support your adrenal system and provide a smooth emotional ride. Whenever it hits, make sure you’re equipped – and keep things simple. This travel anxiety is totally normal and will totally pass. While you’re waiting, make use of conscious reflection, your breath, and some sweetly simple herbs to help ease your mind and get you, once again, excited about the glögg or unpaved road that waits.